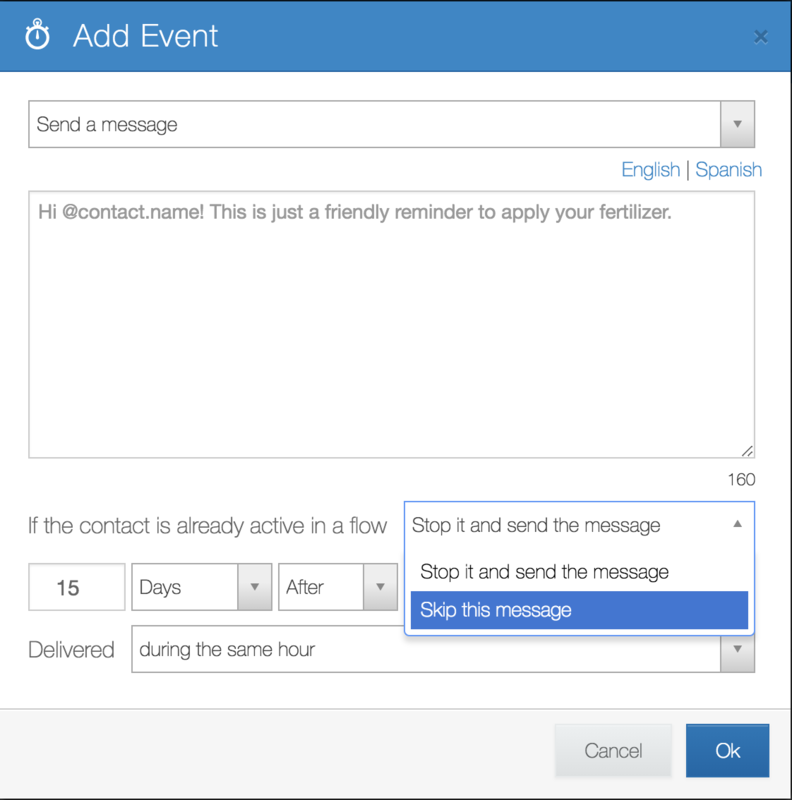 When adding a campaign event, you have two options on how to handle the message or flow start. Choose to stop the active flow and send the event. This feature gives you more control over how campaign events are sent in your account.